This article is going to focus on the type of strength that most people associate with the weight room or use when describing someone as being “strong”. 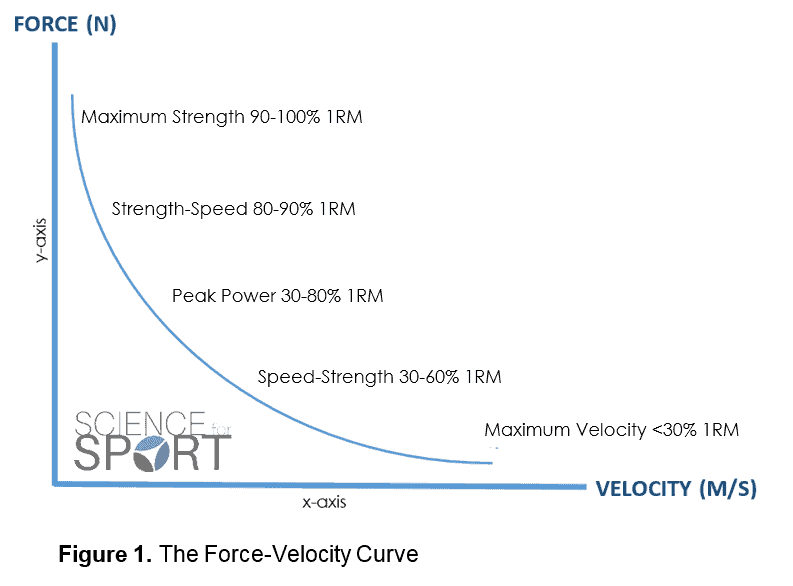 In the previous article we learnt about the different types of strength and where they sit on a force-velocity curve. 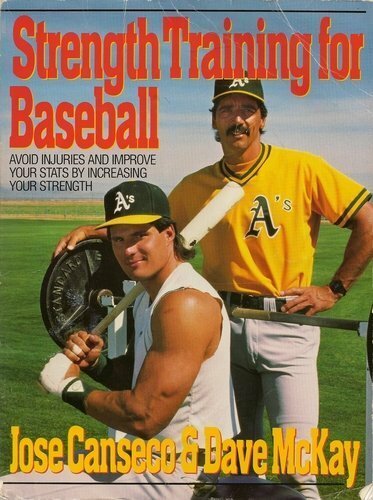 Lifting heavy weights has always been controversial in baseball. Years ago everyone was warned not to lift weights in fear of getting too big and bulky which would cause a restriction in mobility . Then the steroid era shed some light on how stronger muscles created an obvious advantage that a baseball player can use to produce the kind of power needed to launch a baseball out of a hand or off a bat. One of these two players admitted to using steroids – can you guess which one? So being strong is a good thing, but exactly how strong do you need to be? What kind of numbers should you be aiming for in the gym? The answer to this question is that it depends. We have to look at all the other parts of that athletes physical profile to see how this piece of the puzzle fits. The guy that’s super long and lanky doesn’t need to impress you in the weight room and keep up with his teammates squat totals in order to light up a radar gun which means that the answer of how strong YOU need to be falls within a range. And yes there is an upper limit on this range meaning that you can have too much of a good thing. This was the same when we explored other parts of the profile like anthropometrics and mobility. Can you be too strong? The reason why I want to place a limit on getting stronger is because as you start to climb higher and higher you begin to experience what’s known as diminishing rates of returns on your investment. This means that if you worked in the gym to get your squat to go up from 100 lbs to a 200 lbs you would see a rise in your fastball velocity of let’s say 10 mph. That’s a good investment. If you went from a 200 lbs to 300 lbs you might get another 5 mph which is still a good investment, but not as good. If you then tried to go from 300 lbs to a 400 lbs you might only see your velocity go up just a little if any. This is a diminished rate of return on your investment. What are you investing? The two most valuable resources that you have as an athlete; time and energy. These resources are both limited meaning that each athlete needs to think hard about how they should spend these valuable commodities. If you’re already strong enough then maybe you should focus on getting faster with other types of strength which are more at the velocity end of the spectrum. Or how about learning to throw your change-up in a fastball count, I hear that’s important. The diminished rate of return is a result of the fact that moving a heavy weight really slowly is so far away from where throwing a baseball is when you look at them on the force velocity curve. This means that they aren’t very specific to one another. This is what Dr. Mann discovered when he tried to use heavy Olympic lifts to increase vertical jump which aren’t that far apart on the curve but far enough that he needed to make a change in their training. It was only when he lighted the load and stressed speed that he saw positive returns on his investment. Read the details here about 3/4 of the way through the article. My last argument about getting too strong is probably the most important which is the risk of injury. Even if you are performing these lifts correctly they’re stressful on the body and from what I’ve seen in my professional career and on various social media sites the cases of bad technique highly out number the good ones. I don’t know what you would call this exercise because it definitely isn’t a squat!! Before we go any further I want to state for the record that I am a big fan of making guys stronger, after all I am a strength & conditioning coach. Most players don’t have to worry about being too strong anytime soon because it takes a lot of time and effort to reach these levels. But for the mature athlete that has a solid history in the weight room attaining this status of being “strong enough” for baseball is within reach. Teaches proper movement – every athlete needs to be able to perform movements like squats, hinges (deadlift) and lunges in order to help teach stability for the long and loose players while increasing mobility for the tight individuals. Due to the nature of baseball it gets its fair share of athlete’s that aren’t “gym strong” due to long and loose limbs. This type of strength is exactly what these kinds of athlete’s need. This type of strength is thought to be the foundation that other types of strength are built upon. An analogy is that this type of strength is the size of the cup that you can fill with faster types of strength which means that it is your limiting factor. Can help avoid injury by being able to help absorb the high amounts of stress to the body causes by the very fast and sometimes violent act of pitching. 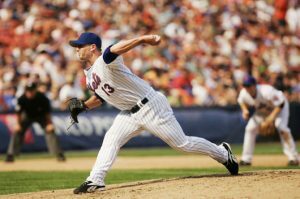 The fact that the pitching motion begins from a dead standstill off of one leg means that this specific limb and portion of the delivery does need a healthy amount of good old fashion strength. Now that we have covered the pro’s and con’s let’s talk about the specific exercises that we can use to assess this type of strength. 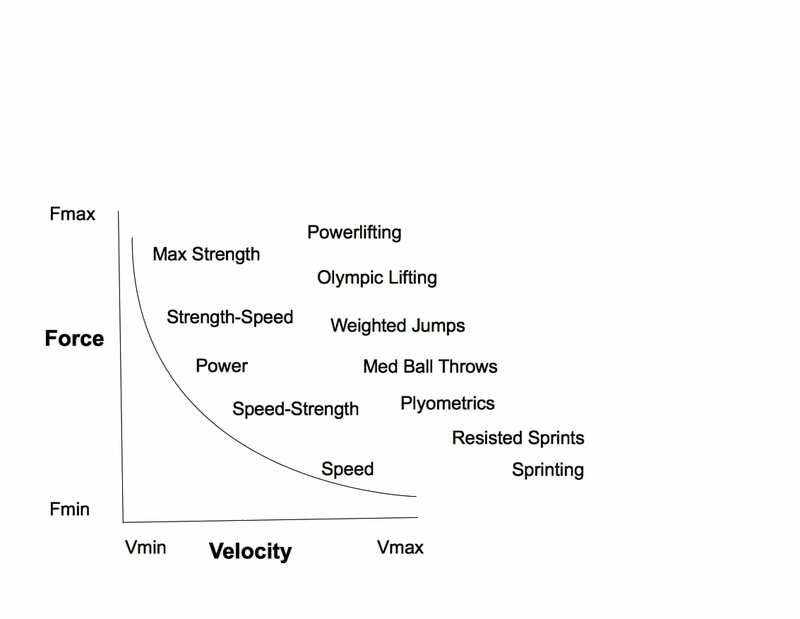 Below is another force-velocity curve but this time it has some of the common types of strength training used to focus on each portion of the curve that we can use to put some objective numbers on each type of strength. Powerlifting is the type of training that is associated with max strength and the speed’s we see here are typically from 0.15 to 0.3 m/s. In the sport powerlifting you combine your 1 rep max totals from the big 3 exercises which are the squat, bench press and deadlift. Whoever has the highest total wins!! As a baseball player you don’t need to compete in the sport of powerlifting in order to get some of the benefits that come with performing the big 3. We can adapt these lifts to suit your body type and aim for a couple of extra reps (2-5) at the faster end of the spectrum so that you don’t have to stress your body to the max. We always have to remember that we are exercising in the weight room to get better on the mound. This is important because it will direct us to using versions of the big 3 which will help minimize the risk while still allowing you to reap the rewards. Let’s check out the big 3 and how we can use them to help throw harder and stay healthy. In powerlifting the back squat is used because it is the method that allows you to lift the most weight which isn’t always a good thing. What if I told said you still get the benefits of developing strong legs and hips while lifting less weight which would place you at a lower risk of hurting your back. Would you be interested? If you end goal is producing results on the mound then your answer should be yes. 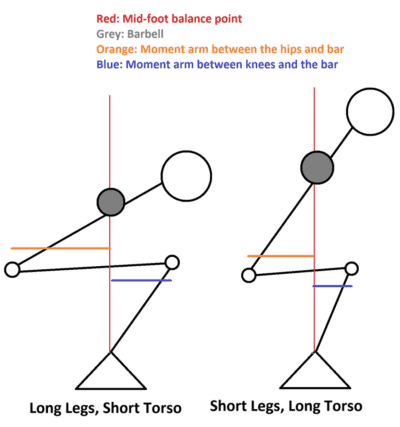 But if you are going to back squat remember to take your antropometrics into account like we see here comparing how leg length plays a role in “how” you squat. Here are a couple of my favourite options that are very challenging and can still be loaded up with lots of weight. But the chances of turning it into something like the picture we saw earlier are reduced. Here is an example of how strong you can get with the rear foot elevated split squat with two time Olympian Meghan Duggan. Remember that the pitching delivery is initiated with just one leg on the ground which makes this exercise more specific. This is one that gets thrown out the most in regards to the big 3. Read this from a much smarter & experienced Eric Cressey to see why he’s doesn’t use the traditional bench press with most of his baseball players. The long arms really play against you here. Great bench presser’s have short arms and a big barrel chest which means that the bar doesn’t have to travel as far they to touch the chest like the rules of powerlifitng state. The long arms with a narrower chest means that you have to move a lot further which is a disadvantage but it also puts you at risk of injury. This longer path means that your elbow have to go a lot further past the level of the bench which pushes the humerus really far forward in the socket which isn’t a good thing. So don’t worry the next time the guy that act’s as the “gym police” comes by and tells you that the bar has to touch your chest. I realize that the guy in the second picture is using DB’s rather than a straight bar but you should get the idea of how we can restrict the depth. Floor presses are a favourite of mine since it automatically restricts the depth. Other than using this you just have to be aware of how far down you’re going. Don’t go for that “deep stretch” feel. Deadlifitng is the one time it helps to have long limbs as can be seen in the picture below because you don’t have to go down as far to grab the barbell and your hips are in a more mechanically strong position. In fact rumour has it that Lamar Grant, the first human to deadlift 5x his body weight, could scratch his knees while standing without having to bend over. Go ahead, stand up and give that a try. But just because you might have a physical advantage with the deadlift doesn’t mean that you should try to push the upper limits just to impress other people in the weight room. Remember the goal is to impress people on the mound. 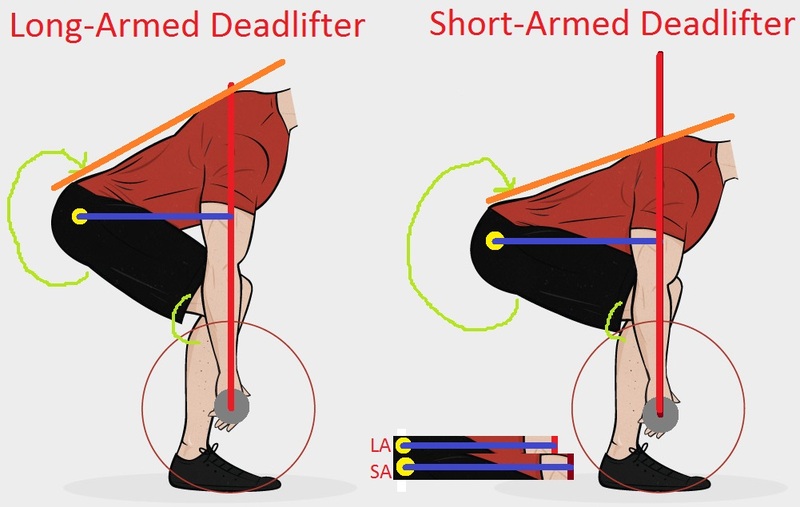 Here is a video that I put together for a team that I consulted with about how to Deadlift for baseball with some modifications and restrictions so that they could reduce the risk while maximize the rewards of this great lift. As far a alternatives go check out this awesome single leg version demonstrated by a “Strong” Marcus Stroman. This is a wonderful movement because it has such a high level of skill which makes it a self limiting exercise. This means that you technique will fail and you won’t be able to lift more than you should. These types of exercises are great for the young male population since we have been know to load up the bar with too much weight trying to impress other people. Great question. Here are some numbers that I’ve come across in my research on track and field throwing. These are just guidelines that these coaches have put in place to help them determine the amount of time and energy they spend on these lifts – guys that have met these standards focus on the faster end of the spectrum and technique to turn that force into more power. These types of athlete’s rely a lot more heavily on absolute strength so we can just look at these numbers as a reference but I don’t see why we would need more than this just based on the fact the we only use a 5 oz baseball. Plus we have to spend a lot more time and energy working on the other components of the game like developing pitches, holding runners and fielding our position. So here are some number’s that I think we can shoot for as minimum’s by the time the athlete is roughly 18-20 years old, both chronologically ad biologically. If you aren’t at this level remember to take your time and don’t rush. One of the best things about this type of strength is that it can be developed for a long time as you get older. Meaning that as athlete’s get older they may loose little “spring in their step” but they can continue to get stronger which may be able to help compensate for the reduction of “springyness”. Check out my article on elasticity to learn what “springyness” means. If you watch the World’s Strong Man you don’t see some young phenom in his early 20’s killing it like you do in other sports. That’s because strength takes time to build so even if you are “naturally” strong it is a process to build world class strength that we see these athlete’s produce. I like to use checklist’s because they let you know if you are ready or not for the next level. Ideally you have a qualified S&C coach sign off on whether or not you had good enough technique (quality) to deserve going in in load (quantity). I would look for 4-8 reps GOOD reps on each where you have to make it look easy before moving to next one – this goes for both the bench pressing and deadlifting checklist’s seen below. Repeat number’s 4 & 5 in increments of 10 lbs all the way to 225 lbs & beyond!! Remember to add in some rear foot elevated split squat’s – see if you can build up to match Meghan Duggan’s total of 160 lbs x 10 reps. Remember that you won’t impress anybody with your bench press if you were born to throw plus it isn’t the greatest for your shoulder joint. So here is my simple checklist. repeat number’s 2-4 in increments of 5 lbs DB’s all the way to 70 lbs and beyond!! But don’t abandon the pushup which can be loaded and progressed. repeat number’s 3 & 4 in increments of 10 lbs all the way to 275 lbs & beyond!!! Be sure to add in some of those single leg deadlifts too. They can also add strength while making sure that you body is balanced. Can you be as strong and smooth as Marcus Stroman and his 106 lbs in each hand? There are more but this gives you an idea of why the prescription of “getting stronger” will be different for everyone. If you want some help in trying to figure out what fits you then contact me at graeme.lehman@gmail.com. Next we will check out the next portion of the force-velocity curve and the controversial use of Olympic Weight-lifting. I wanted to be one of the first to welcome Nate Pearson and his 100+ mph fastball to Canada. Nate is the HARD throwing right handed pitcher from the College of Central Florida that the Blue Jays picked up in the first round. He’s the hardest throwing prospect the Jays have had since Noah Syndergaard, and hopefully we won’t trade this 100 mph for an aging knuckle ball. I’m still a little bitter about that trade not to mention that we also lost Travis D’Arnaud for Josh Thole. Its going to be fun to add him to the mix of Blue Jay pitcher’s that I analyze to help communicate my ideas about customizing Mechanics and Training based on an athlete’s unique physical profile. For the last year now I’ve been using Marcus Stroman and Aaron Sanchez as example because its easy to see that these two are very different physically yet produce the same kind of stuff in regards to velocity. In doing so I’ve created some hypothetical profiles for each of them based off of what I can see from studying them on TV since I’ve never had the honor of assessing them and their athletic ability directly. What makes the addition of Nate Pearson so exciting for me is that he throws harder than both of these guys and the physical profile I have for Nate is real and not hypothetical. This past year I was lucky enough to be consulting with the College of Central Florida Patriots which is where Nate played in 2017 after transferring from Florida International University. The baseball sport scientist in me was really pumped that I was going t be able to see on paper (and video) what a guy who throw in the mid 90’s looks like after I ran him and this teammates through all sorts of testing and screening at the beginning of the season. I will be following up with an article like I did last year on the DBacks 4th round selection Curtis Taylor who also throws really hard yet is very different from Nate despite the fact that they are both 6’6″. Until then I just wanted to congratulate Nate and the coaching staff at College of Central Florida (Marty, Zach, Jon and Ryan) for all the hard work they did this past year in the weight room and on the field to help him become a better pitcher while also improving his velocity by 5+ mph which helped raise Nate’s stock immensely. This article below is a practical guide to a form of conditioning called High Intensity Continuous Training (HICT) that can be really helpful to the baseball athlete and if nothing else is way more effective that running poles. In the past I’ve written about how long distance running can kill your velocity, check it out here. Conditioning however still needs to be done because it is very, very important so I wanted to provide a better alternative. If you want to a team HICT workout example check out the second half of this article. This type of conditioning perfectly suits baseball because they both require high amounts of power/intensity with short rest periods. Think of a pitcher with a tough inning where they need to make a really good pitch to get out of a jam or limit any damage. Sometimes pitch #32 of an inning is very important and it gets tough to produce the same levels of intensity when you have to do something as intense as throwing a baseball every 15-30 seconds. This is where HCIT comes in handy. It is also very simple – look at the gif below and just follow along for 5 minutes!!! you should be able to carry on a conversation – I don’t mean at you should talk the whole time but if you can string a sentence together than this is an indicator that you are in the “training zone” that you need to be in. when loading where a weighted vest or even a back pack with 10-20 lbs – holding weights can be tough on your forearm grip. Injured pitchers: if your arm hurts and you can’t throw pens or in games then this type of conditioning will work great to simulate a start. Go through your pre-game routine minus the throwing and then do these as innings to keep your legs in “game shape”. This can help the player that can produce high amounts of power and speed but the numbers of times they can repeat it are limited. It can also help the player that doesn’t lose any steam but just doesn’t produce enough power in the first place. This type of athlete should however spend more time developing that overall power but when it comes to conditioning do this type. You have to limit the conditioning they do so go with rounds that aren’t as long. Conditioning at the end of a practice is common place at all levels of baseball. What’s not common however is the fact that very few teams are actually doing conditioning that is going to help players improve their on-field performance. 1)long distance running which baseball has none of. So that doesn’t make any sense to go really slow for really long when the game is all about long periods of no action (i.e rest) followed by short burst of explosive athleticism. 2) sprints – at least here we are performing running at higher intensities which we see in games. But what happens here is that coaches want to “toughen up” or “build character” with short rests between long sprints making this type of conditioning really hard. Remember that baseball has short bursts (the base’s are only 30 yards apart) with long breaks (approx 15-sec between pitches). For me the answer relies in the form High Intensity Continuous Training and the best way to implement them is with circuits for both variety and athlete management. These circuits require very short burst’s of energy with plenty of time in between to allow the rest that’s needed to achieve high intensity. Without the rest there is no humanly way to keep intensity up. If you are doing wind sprints with short rest periods it may feel like it is “intense” but slower speeds compared to your best when you are 100% rested would suggest otherwise. Pick as many stations as you need so that you have 5 players at each one. Put the players in a single file line at each station and number them 1 through 5. Instruct that all of the #1’s will go at the same time at their respective stations followed by the #2’s and so on. After you complete a station you go to the back of the line at the next station and wait your turn. If you don’t have a number that evenly divides up into 5 don’t make even groups of a lower number. We want to ensure that there is adequate amount of rest to keep intensity up. If you have 12 players for example put five players at stations A & B then the remaining two at station C an assigned them as #1 and #2 so that they know when its their turn. Each player will perform 5 seconds of work or an assigned number of reps that can be done in 5 seconds. Here is an example of an on-field conditioning circuit that only requires a med ball, an old tire, a sledgehammer and a battling rope that can be purchased at most marine stores. Every ten seconds one group will perform 5 seconds worth of exercise. The remaining 5 seconds is used by the next group to get ready. Perform 3 to 6 rounds continuously. Each round is 3:20 if you stay exactly on schedule which makes 3 rounds exactly 10 minutes and 6 rounds is then 20 minutes. Error on the side of caution and if the intensity levels are dropping then cut it short. You should be able to tell the intensity based on jump distances as well as the height of the med ball throws assuming the players are still trying to be as powerful as possible. The exercises shouldn’t cause a lot of soreness if any due to the fact that they are concentric based. However don’t do this circuit for the first time if you have a meaningful game in the next day or two. Rope: Pick up the ropes and perform 10 explosive and continuous reps of trying to make the rope wave as higher and as long as possible. If you want to do this in an alternating fashion with the hands perform 10 reps each. Med Ball Squat & Throw for Height: Hold the ball under your chin and squat down to throw the ball as high as you can with very little horizontal distance. Work on transferring energy from your legs up through your body towards your arms which throw the ball as high as possible. Transferring power from the lower body to the upper body is needed in both throwing and hitting and while this exercise looks like neither it does provide some positive carry over. Sledgehammer: Perform three sledgehammer swings in a row with your right arm higher than your left. One the next round through the station perform it the other way. This is just one example and there are ton of other fun variations that can be used. Even using med ball throws and sled pushs/pull are also great ways to add some variety. The buy in you get from players will be thousands more than running poles which means that you’ll have players that will try harder and moan less. The previous two articles, which you can read here and here, I’ve written about how the human body is designed to throw by being built to take full advantage of the elasticity. To get a refresher of what elasticity is you can check out this article here. This article looked at the elasticity of the lower body while this one looked at the core while today’s will focus the elastic energy of the muscles and tendons that surround the shoulder. This will be my fifth article in a row covering this topic of elasticity and I feel as though I am just scraping the surface of this vital power source. I have enjoyed reading and learning about this topic and I’ve even participated in a study at local University that looked at the difference in tendons surrounding the elbow of baseball versus non-baseball subjects and after 100 throws with imaging ultrasound. I’ll be sure to write about the results and what they mean in the future but for now, let’s look at the tendons responsible for the fastest action that the human body can produce; internal rotation of the shoulder when throwing. 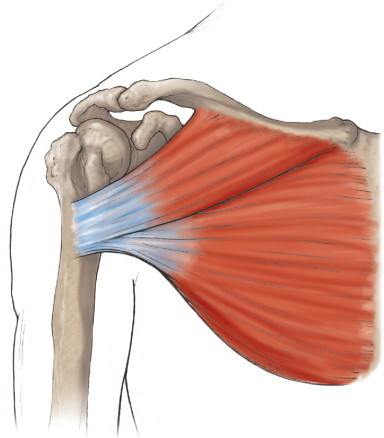 The muscles responsible for internally rotating the shoulder are the Pectoralis Major (pic below), Latissimus Dorsi, Teres Major, Deltoid and the Subscapularis. Their tendons on average are 58 mm long, as a comparison, the Achilles tendon is 120 mm. When we just look at the length however we only get a 2D look at something which real life is 3D. One of the main reason that these tendons can store and release so much energy is due to its cross-sectional area (CSA) which gives us an idea of the tendon’s girth. By comparison this group of internal rotators has a CSA of 3.6-5 times larger than that of either the Achilles Tendon or the Patellar tendon (48mm) in the knee which are both used to store and release elastic energy when jumping. This gives these short tendons more volume that they need to exchange the high amounts of energy when the forearm is laid back into ER right before it springs into IR at speeds in excess of 7,500 deg/sec. To highlight how these tendons are designed for throwing read the hypothesis from Dr. Roach whose study on human evolution and throwing I’ve been referencing for the last two articles. These short but thick tendons are made for the fast action of throwing but this is just an observation about humans in general. We should know by now that not everyone’s the same and there is sure to be some variation in both the length and CSA of these tendons from person to person allow some to have naturally gifted arms. Since different people will have slightly different tendon size and quality not everyone will use the same strategy to load into external and unload into internal rotation. Here we see two very different arm actions, first is the 6’5″ and 220 lbs Nate Jones with a very short and quick arm action. 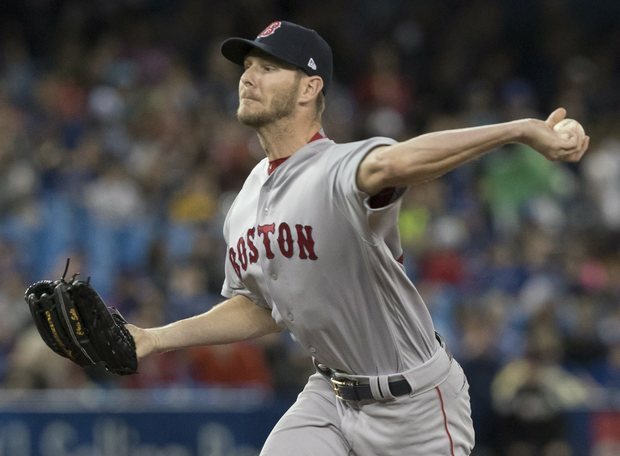 Next, we have the long circular arm action of 6’6″ and 180 lbs Chris Sale. Just to be clear I don’t know exactly what kind of tendons these guys have in terms of size and quality plus there are a lot of other factors that go into how they use their arm. But I wanted to use this example to draw a parallel to what we learned in a previous post about how tendons played a huge role in determining the biomechanics to two different elite high jumpers. This first clip shows how Stefan Holm uses his short and extremely stiff tendon to get himself off the ground fast!!! This is similar to how Nate Jones throws the ball. Next is Donald Thomas with his longer but not as stiff tendon going through a slower jumping motion with more range of motion to produce the same type of results. This is more along the lines of a Chris Sale type arm action. The slightest variations of tendon length or girth (CSA) of the internal rotators might play a huge role in how a pitcher optimally loads their throwing arm back into external rotation by stretching the tendons of the internal rotators. The reason I say “might” is because this is just a theory at this point since I haven’t been able to find any type of research to back this up. But as a theory, it makes sense to me and would put some scientific, objective and quantifiable reasoning behind the classifications that are already used in the baseball world when we say “he has a quick arm” or “he has a long loose arm action”. The difficulty is that measuring the length and size of these tendons isn’t that easy. Differences in length are easy to see in the Achilles Tendon and you can even get a rough estimate by just using a measuring tape. The variation with the internal rotators won’t be as drastic and easy to see with the naked eye but that’s not to say that there isn’t variation between tendon size of the internal rotators from person to person because there is. 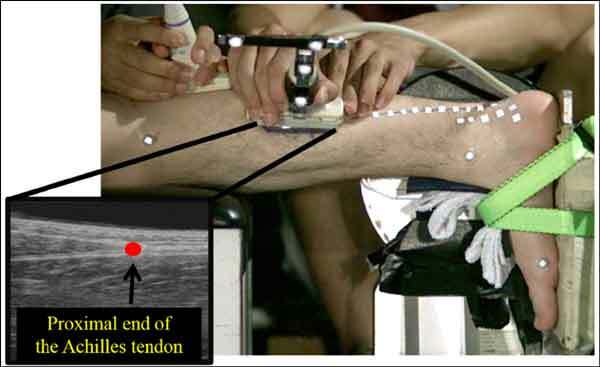 The only way of truly measuring this is with imaging ultrasound as we see in the picture below where they are where they are measuring the Achilles Tendon length. If you have the ability to measure tendons you can see how they big they are and more importantly how stiff they are. Tendon stiffness is a subject that is worth its very own 2000+ word article but for now, you just need to know that its a good thing that can provide you with a lot of power. If we think of tendons like the springs seen below, the shorter one on the left is very stiff and has the potential to return a lot of energy. 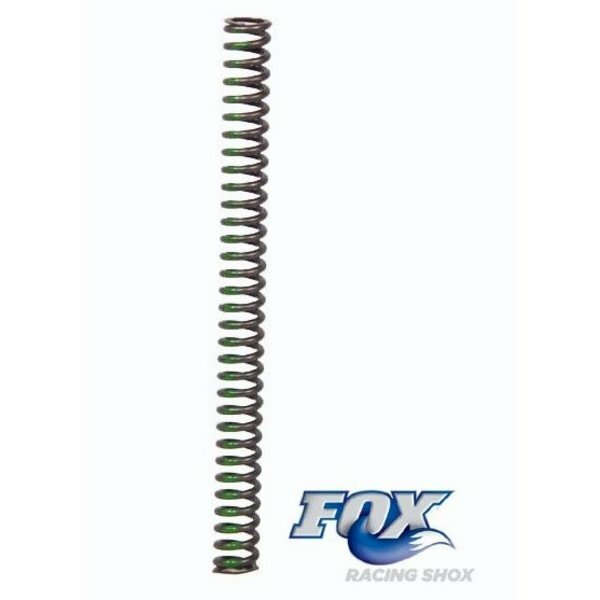 The reason I say “potential” is because it requires a lot of force to load up this spring enough to get all that energy back. Whereas the longer one on the right doesn’t need a lot of force to load it up but it won’t give too much energy back but its length is what allows it to produce more power. In this case, the tendon would be compliant instead of stiff. Stefan Holm is said to have the stiffest tendons on record which is why he can produce so much force in such a short amount of time. Stiff tendons require a lot of force to make them stretch enough to reap the benefits which is why he has the fastest approach speed of any higher jumper. This is the reason why he can’t jump very high from a standstill (24 inches) but if you let him get a running start he is able to produce enough force to load up is stiff tendons in order to produce Olympic Gold Medal results. Stiff tendons are a requirement for the sport of high jumping. And while Donald Thomas’ aren’t as stiff he makes up for it by having a longer tendon which gives him the opportunity to build up more power and use whatever stiffness he does have. Everyone is going to have a different combination of size (length & CSA) as well as stiffness and as a result, there is going to be different ways to load up the throwing arm back into external rotation before unloading into internal rotation. How to Get Loaded? Into External Rotation that is.. This loading phase is known as a countermovement. We’ve talked about the countermovement jump which is performed by squatting down which flexes your hips, knees, and ankles before you rebound into the jump when those joints go into extension. This is what they call triple extension. The countermovement stretches the tendons which adds power to the muscles contracting to help catapult you off the ground higher than if you only used your muscles if you tried to jump from a seated position. What this means is that the throwing arm isn’t being actively loaded into ER by the muscles that produce ER but rather the forearm is being whipped back into the layback position due to the momentum being produced by the rest of the body. Here we see Zack Grenkie’s forearm being whipped back into the layback position. While these two movements might differ in regards to their countermovement they share the fact that if the tendons are stretched further and faster it can potentially produce more power. There’s that word “potential” again. There are lots of athletes who are big enough, fast enough and strong enough to load up their arm with the mechanics that precede the layback position but the lack the tendons (quality and/or size) needed to reap the benefits of this added stretch. We learned this concept in this video where the vertical jump was used as an example, go to the 2:50 mark. When we perform a depth jump we should be able to jump higher than a countermovement jump because we get the benefit of a bigger and faster stretch of our tendons due to enhanced loading speed from stepping off a box. In theory, if we kept raising the height of the box that we are stepping off of we should continue to see higher and higher jumps due to the bigger and faster stretch of the tendons. This, however, has a limit for each person because we end up getting to a height where we will see the jump heights go down rather than up. If you can’t measure jump height you can watch closely and you will see the athlete spend more time on the ground as they transition from landing to take-off rather than bouncing off the ground. Spending too much time on the ground causes an energy leak. This will happen if you don’t have enough isometric strength in the muscles or enough stiffness in the tendons. Coordination also plays a huge role and if you have heard of “muscle slack” that’s what this is about which is another subject for another long article. In order to assess this when it comes to throwing it’s a lot tougher to see if there is any lost energy or delay between the transition of ER into IR due to the high speeds but it is possible. Let’s say we have a slow-motion video of you pitching that’s 150 frames per second and that your max amount of external rotation you get is 180 degrees. In order to get the most efficient energy exchange, we would only want to see that arm at exactly that 180-degree angle for one frame, anything longer and we are losing precious energy. On the opposite end of the spectrum, we are going to have pitchers that might have stiff enough tendons to produce lots of power but don’t have the size, speed, strength or mechanics to produce enough of a stretch to reach their potential. These types of pitchers are the ones who really shine when you watch them long toss due to the extra stretch they produce with the added momentum from the crow hop but when they start from the stationary position on the hill they can’t reach the same velocity. There are lots of other factors and even other tendons at play when we are talking about throwing a baseball. The goal of this article was to highlight these internal rotators because in my opinion, they are the limiting factor for producing velocity since they are responsible for the highest levels of speed we see when the shoulder joint goes through internal rotation during the acceleration phase. This article is going to continue to look at how the human body was designed to take advantage of elastic energy and throw better than any other species on earth. The previous article quickly touched on how this ability to throw played an important role in the evolution of the human species while going into great detail about one of three traits that allow humans to throw way harder than our closest relatives in the animal kingdom, the chimp. Humeral torsion is a term used to describe the twisted shape of the humeral shaft. You have probably heard of the term “retroversion” which is used to describe the same thing as humeral torsion, the only difference is the angle that you are measuring. We want more retro-version and less torsion to create bigger ranges of motion. Compared to chimps humans have 10-20 degrees less humeral torsion which allows for bigger ranges of motion like we see on the right. Having larger amounts of external rotation has been shown to distinguish “fast” from “slow” throwers in previous research. In 2001, Matsuo et al. 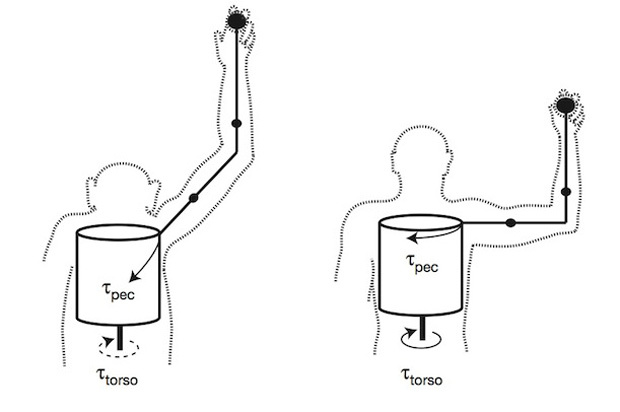 published a study that reported harder throwers had 179 degrees of external rotation while the slower throwers were only able to demonstrate 166 degrees. Here we can see Billy Wagner getting approx 180 of external rotation or “layback”, but we also have to consider the fact that he is going down the mound which makes this 180 closer to 200 which is why he was throwing 100 mph when it wasn’t as common as it is today. The hard throwers in the study were only throwing about 85 mph. Having more ROM when we go back into external rotation allows for more elastic energy to be stored and released as internal rotation during the acceleration phase. When dealing with really fast movements, like throwing, elastic energy is what we want since it is made for speed whereas the power we get from muscles is designed more for moving heavy things at a slower rate. The glenohumeral joint (aka the shoulder) is classified as a ball and socket joint. The “socket “portion is the glenoid fossa which is part of the scapula/shoulder blade while the “ball” is the head of the humerus. In humans this socket is facing to the side (aka laterally) while in chimps it is facing more upwards. This picture below shows us the difference with the human scapula on the left. This does is creates a better angle to both produce and transfer force which is displayed in the picture below. Having the arm abducted at 90 degrees from the body allows for more energy to be transferred from the rotating torso creating torque. The approx 135 degree angle shown on the right from the chimp doesn’t allow for as much energy transfer from the torso when throwing but it is better for climbing, which for chimps is pretty important. That’s evolution for you. When the arm is at the 90 degree angle it puts the long axis of the humerus in-line with the axis of the pectoralis major which acts as an internal rotator. 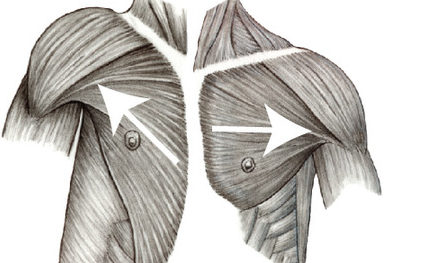 On the right in the picture below we see the muscle fibers of the human pectoralis major and how they run almost straight across at that 90 degree angle. This really illustrates why we need to be near that 90 degree angle of arm abduction when we throw no matter if you throw “over the top”, “three quarters”, “side arm” or even “submarine”. Check out this article to learn more about this 90 degree rule and how throwing “over the top” increases velocity and stress on the arm. So we know now that humans have more laterally orientated GH joints but there is some variation within the human spices as to how laterally orientated the shoulder joint is for each person. This is going to be another case where I go back to the analogy of getting a suit tailored to your body rather than going with the standard “off the rack”. 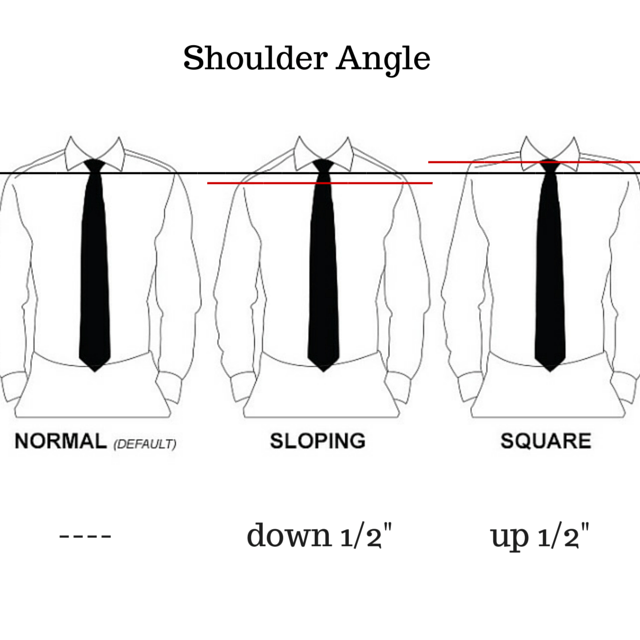 Having a shirt that fits the slope of our shoulders is going to feel and look better. The same can be said about pitching mechanics. Maybe this has something to do with finding one’s “natural arm slot” since there does seem to be a little bit if wiggle room with that 90 degree angle rule in that you can be plus or minus 10 degrees. Some people will naturally have either sloped or square shoulders but we don’t want it to be exaggerated by either tight traps pulling our shoulders up closer to our ears nor do we want tight lats pulling our shoulders down towards our toes. Either of these overactive muscles can increase the risk of injury while also decreasing performance. 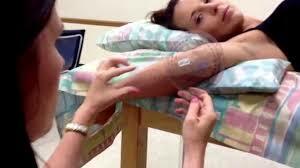 Now that we know how these traits allow us as humans to take full advantage elastic energy we will learn exactly how this vital power source works in the shoulder and how it too will differ from person to person.